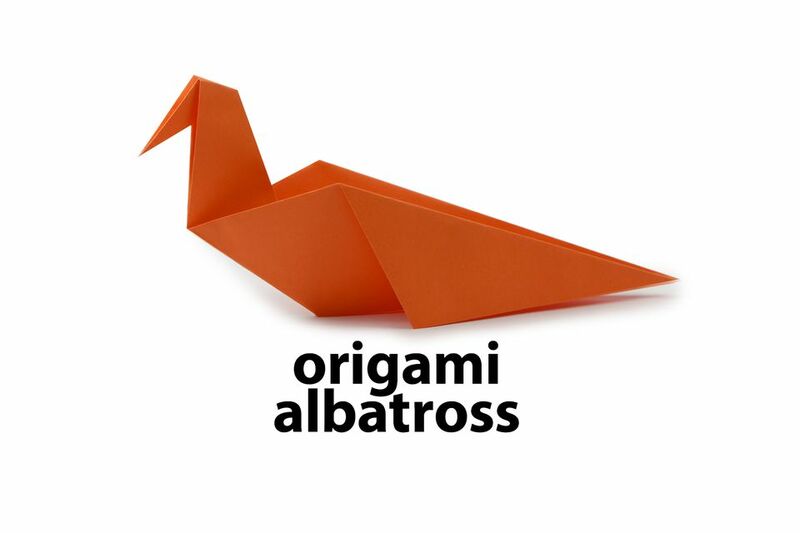 Learn how to make a super simple origami Albatross with this easy to follow origami diagram!. It's a great introduction to reverse folds for kids. For this simple origami bird model, you will just need 1 square sheet of paper. I would suggest paper that is at least 15 x 15 cm to start with. This is a diagram process, instead of a photo tutorial. For another diagram tutorial, check out the ​Traditional Origami Fish Instructions and How to make an easy Origami Fox! - they are both for beginners. The tale of the Japanese Albatross is not a happy one, they were hunted for their feathers until near extinction in the 1900's. Albatrosses, ahōdori (アホウドリ in Japanese) are the largest seabirds in the world. Their outstretched wingspan can reach up to three meters. The name ahōdori actually means, 'big dumb bird', due to their carefree way of flying with little effort, they can live almost completely at sea and hardly ever land. If you like origami birds, try making the Traditional Origami Peace Dove, and the Origami Swan. Starting white side up, this color you will not see at the end. 1. Start with the paper as a diamond shape. Fold the paper from top to bottom and unfold. 2. Now fold both the top and bottom corners to the middle crease. 3. This is what you should have now. 4. Fold the top and bottom right edges to the middle crease. 5. Flip the model over, top to bottom. 6. Fold the bottom up to the top. 7. Make a fold on the neck, and then inside reverse fold the neck. You can inside reverse fold by opening out the neck from the top and reversing the crease you just made, then flatten it out. 8. Now you can fold the head down to a position you like, and inside reverse fold that one as well. The Albatross can sit on its own, if you like you can add a little bit of glue on the inside of the neck base, to keep those two folds together. Remember that origami can take practice, make another one and it will be better than the first one.